Eula is a Wythenshawe resident who has lived in the area for 48 years and recently joined as a board member. 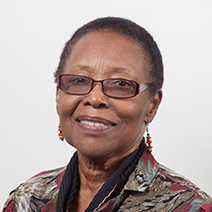 Eula has served on the Tenant Committee and Complaints Panel at WCHG and is an active member of the community. Eula is a director and chair of the Tree of Life, taking part since its inception. Eula is also on the board of trustees for the Wythenshawe Community Initiative, a family centre based in Woodhouse Park. Eula is a member of the Dandelion Community, part of the United Reformed Church. Eula has a strong working background, including the Manchester Probation Service, Social Services, Tutoring and coordinating placements for Manchester Metropolitan students. Eula said “I am hoping this new experience will give me the opportunity to contribute something to the area, after living here for so long and watching in develop for the good of Wythenshawe”.